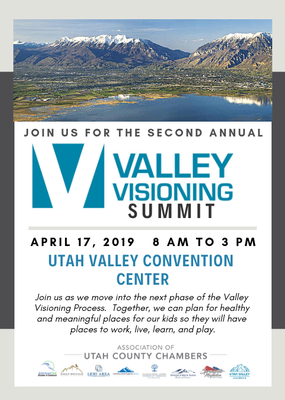 Join with the Association of Utah County Chambers in bringing together civic and elected officials together with business owners and leaders to plan for our Valley's future. Get the latest information gathered from the community workshops and survey completed over the past three months. Round table discussions using the feedback gathered from surveys will be used to determine action planning.